Restorative dentistry is the practice of repairing what is not healthy or tooth replacement for teeth that are no longer able to remain in the mouth. Whether you have experienced an accident or you are currently undergoing an oral condition that is causing you to lose teeth, we can help. We have been providing everything from dental bridges to teeth implants for years within the Gary community and we are happy to sit down with you to discuss your personal needs. Do You Need Dentures Or Would An Implant Be A Better Solution? What is your lifestyle? How old are you? What does your day-to-day schedule look like? For those of us that are a little older, where life has slowed down a little, the consideration of a full denture solution is often times a very good choice if we have had specific forms of oral disease that has caused us to lose teeth. Exactly what permanent affordable dentures cost is often one of the first questions our office receives when making this consideration. How often is denture repair required and how much will that maintenance cost over time? These are major considerations. What about those who still have healthy jaw bone, are denture implants a potential option? What Is A Root Canal And Is This A Procedure That I Should Be Considering? A root canal is a procedure where the center of the tooth, the pulp, is removed, the inside is cleaned and then sealed. When a tooth can be salvaged this is, by far, the most sought-after remedy as it prevents the need for any type of implant or denture. The root canal cost is based on the degree of infection and how much of the original tooth is damaged. Those considering a dental implant procedure have most likely already met with their dentist. If you have lost a tooth or are experiencing tooth loss due to a form of oral disease or accident, we strongly recommend you schedule a consultation with our office immediately. While the cost of dental implants is always a consideration, oral healthcare should be the primary concern. 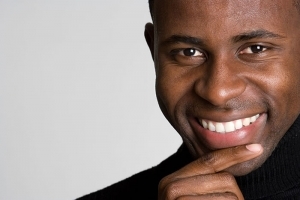 Typically the main consideration or choice is between a denture and an implant. When possible, and depending on your lifestyle and age, implants are generally chosen. While full dental implants cost a lot, the cause for this is generally due to a major accident, in which case most major medical policies will step in and cover a large percentage of this cost, so the need for dental insurance is often unnecessary in this case. How much are dental implants? The dental implant cost will be determined by many factors. What material is being used for the implant? Is there the need to extract a tooth first? The tooth extraction cost will factor into the entire procedure. Are you experiencing a need for any form of restorative dentistry? From needing a crown or teeth caps to a bridge? We have been providing restorative procedures within Gary for years. We have a large client base here in Gary that have provided us with reviews and testimonials that we encourage you to review. While restorative dentistry is not as simple as a teeth whitening session, it is often times mandatory in order to maintain oral health. Jump on over to our “About Us” page and schedule an appointment where we can discuss how we can assist you starting today. We look forward to meeting you and showing you that our office has been built to serve our community.